A dramatic narrative of French history in the sixth century. Gregory of Tours (c.A.D. 539-594) intended his HISTORY to be a chronicle of events and included the 21 years he spent as Bishop of Tours. This volume contains all ten books of the HISTORY. As Gregory unravels the bewildering events of those decades, what emerges is no dry historical document but a colorful, detailed and moving pageant. - Publisher Written following the collapse of Rome's secular control over western Europe, the History of Gregory (c. AD 539-594) is a fascinating exploration of the events that shaped sixth-century France. This volume contains all ten books from the work, the last seven of which provide an in-depth description of Gregory's own era, in which he played an important role as Bishop of Tours. With skill and eloquence, Gregory brings the age vividly to life, as he relates the exploits of missionaries, martyrs, kings and queens - including the quarrelling sons of Lothar I, and the ruthless Queen Fredegund, third wife of Chilperic. Portraying an age of staggering cruelty and rapid change, this is a powerful depiction of the turbulent progression of faith at a time of political and social chaos. 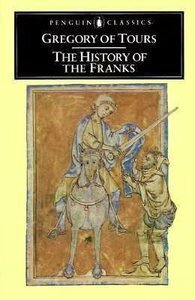 About "The History of the Franks"
Written following the collapse of Rome's secular control over western Europe, the History of Gregory (c. AD 539-594) is a fascinating exploration of the events that shaped sixth-century France. This volume contains all ten books from the work, the last seven of which provide an in-depth description of Gregory's own era, in which he played an important role as Bishop of Tours. With skill and eloquence, Gregory brings the age vividly to life, as he relates the exploits of missionaries, martyrs, kings and queens - including the quarrelling sons of Lothar I, and the ruthless Queen Fredegund, third wife of Chilperic. Portraying an age of staggering cruelty and rapid change, this is a powerful depiction of the turbulent progression of faith at a time of political and social chaos.